EDITOR'S NOTE: The following is a continuation of an investigation by NPR News and the Center for Investigative Reporting on private counterterrorism programs, like the one at the Mall of America. BLOOMINGTON, Minn. -- Programs aimed at keeping a lookout for potential terrorists are not about profiling, government officials stress. But an analysis of suspicious activity reports of incidents at the Mall of America in Bloomington, Minn., by NPR News Investigations and the Center for Investigative Reporting, suggests that the Mall of America may be questioning people based partly on their appearance. From the more than 1,000 pages of suspicious activity reports examined, the documents suggest almost two-thirds of the "suspicious" people whom the Mall reported to local police were minorities. Compare that to the U.S. population, which is more than 70 percent white. And whites account for 85 percent of the population in Minnesota. One evening last summer, Nauman Tariq had just pulled out of the Mall of America parking lot with his father sitting beside him in the car. Suddenly a police car started tailgating them with its lights flashing. Two more cruisers moved in. 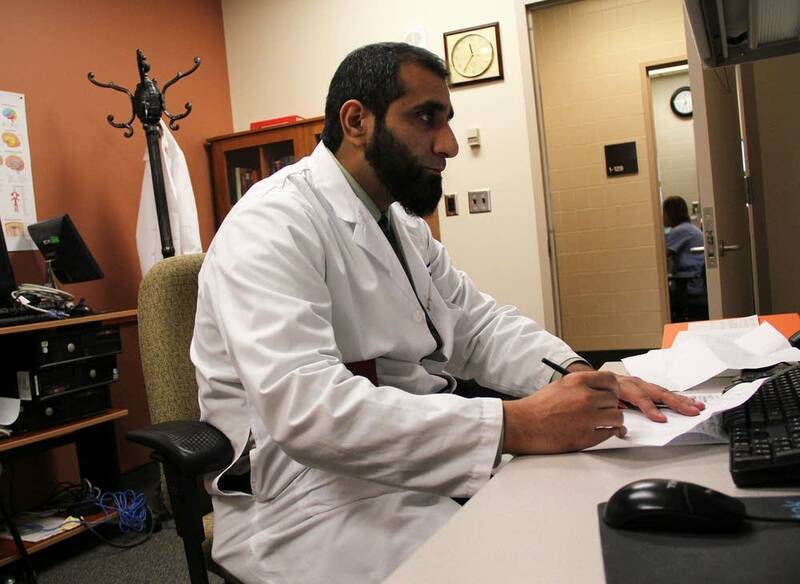 "This kind of stuff you see in the movies, like cops coming up, and pulling over and surrounding you," Tariq, a brain specialist at three hospitals in Minneapolis, said." We can't even imagine it's going to happen to us for no reason." The police ordered Tariq out of the car, frisked him and put him in the back seat of a patrol car. While he was sitting there, he craned his neck to read the police officer's computer on the front seat. "My name was there on the laptop with my address, and there was this highlighted sentence saying that 'possible terrorist threat,'" Tariq said. "At that time I realized that there was something seriously wrong here." The report on the incident, which NPR and the Center for Investigative Reporting obtained from police files in Bloomington, Minn., says that the Mall of America's private security unit flagged Tariq as a "possible terrorist." "He said that the Mall of America contacted the police because I was doing some suspicious activity," Tariq recalled. "And I asked him what did I do, and all he could tell me was I used the bathroom, it looked like I was walking fast with my father and I was using my cellphone a lot." The police report confirms that explanation. The police let Tariq go after 45 minutes. But he says there's another reason why the Mall's security unit might have suspected he was a terrorist. "I look like a Muslim from a mile away," Tariq laughed. "Meaning that I have a beard, I don't have a mustache, and my color, it's Middle Eastern, my skin color." The nation's leaders have insisted since Sept. 11, 2001, that you shouldn't report people based on appearance, and instead look at behavior. A training video posted on a government website makes clear that "profiling of individuals based on their race, color, national origin or religion is not acceptable in reporting terrorism-related suspicious activity." NPR and the Center for Investigative Reporting asked 29 law enforcement agencies across the country to provide suspicious activity reports from attractions such as amusement parks or baseball stadiums. Only officials in Minnesota sent us reports — more than 100 "suspicious" people that the Mall of America sent on to local police. Documents show that in almost half the cases, the reports were forwarded to state and federal law enforcement. A Mall of America spokesman says they stop and question more than 1,000 people each year, so it's not clear if the reports obtained by NPR and CIR are a representative sample. The mall's executives wouldn't tell us if the ethnic and racial breakdown of their visitors is different than the U.S. population. "I think the program is one of the most effective programs in the security world. I really do," said Maureen Bausch, a vice president at Mall of America. Mall executives wouldn't discuss the findings, but government hearings and press reports cite the mall's program as a model for fighting terrorism. "When you're projected to draw 40 million visits a year — 40 million people walking through your doors — your No. 1 priority has to be safety and security," Bausch said. "The world has changed so we've had to adapt and change with it, to make sure our guests are safe and having a great time." But Minnesota's Department of Human Rights has been concerned about the mall's security program. Four years ago, the mall's guards reported a man to the police because he was "observing others while writing things down on a note pad as though he was conducting surveillance." It turns out he was a musician waiting for a friend. He filed a complaint with the state of Minnesota, charging that the mall targeted him because he's black. The Human Rights Department investigated, and they concluded the evidence does suggest that the Mall of America "subjects racial minorities to heightened scrutiny," which the department said would be "illegal." Bausch wouldn't discuss the case. "No I cannot respond to that, I cannot," she said. "Even though it's a matter of public record." But Juliette Kayyem, a former assistant secretary at the Department of Homeland Security, says she's troubled by those suspicious activity reports from the mall. "I can't sort of say this is de facto profiling," Kayyem, who is now a professor at Harvard said. "I would be concerned about it." Recent history shows there's reason to think about terrorism in Minneapolis. Government officials say that Somali-Americans there have gone overseas for terrorist training. 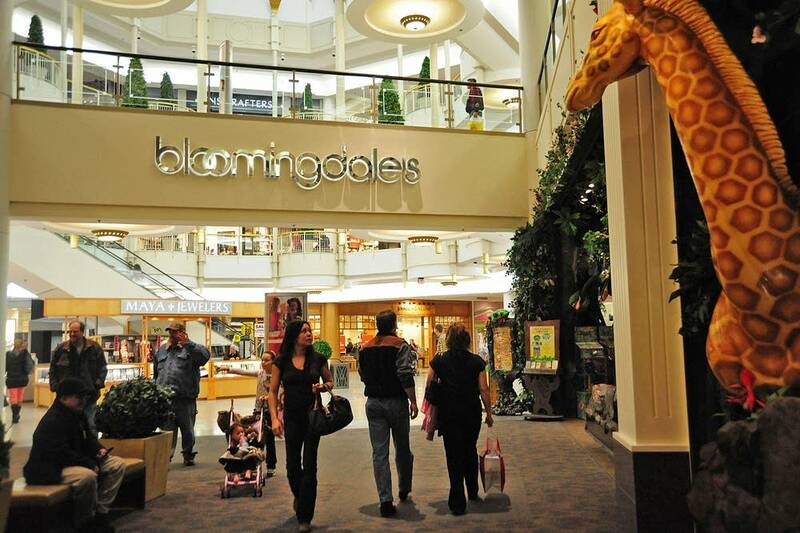 But Kayyem says she's troubled that two-thirds of the "suspicious persons" in the Mall of America's reports are from places like the Middle East, Africa and Asia. Or they're African-American. "The fact that they're doing it this way is something they should clearly change. This is not helpful from anyone's perspective," Kayyem said. The documents show that when the mall reports suspicious people, roughly half of those reports go to state and federal law enforcement. Ask the Khalil brothers from Southern California how the Mall of America treated them, and you'll get a mixed reaction. When the brothers were visiting a friend in Minneapolis two years ago, they ate dinner at the mall and took photographs. The mall's private security force confronted them. The Khalil brothers say the next thing they knew, an FBI agent followed them to the airport as they were about to fly home. "He asked me where I was born, and where my wife worked and where my daughters worked, and what they're doing and what my wife does," Emil Khalil said. The Khalil brothers are both in their 70s. They were born in Egypt, but they've been American citizens for decades. "For all the 30 years that I lived in the United States, this was the first time I was treated as a suspect, and I didn't do anything wrong so it bothers me," he said. His brother Sameer, however, appreciates that the Mall of America reported them. "It didn't bother me at all," Sameer Khalil said. "That's their job, they should do that to make it safer for everybody." A commander with the Bloomington police says the department will keep that report on the Khalil brothers in their database for decades. They'll keep all the reports from the Mall of America, each one with the heading: "suspicious person."